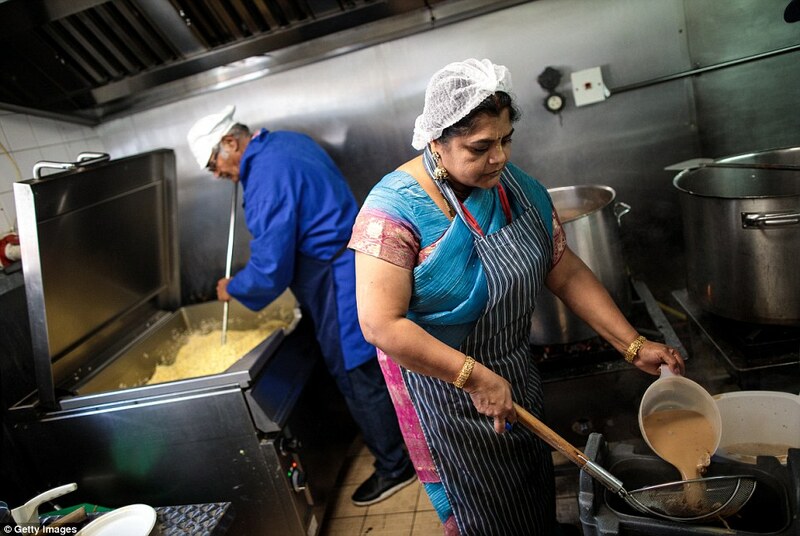 As many as 70,000 were expected to attend the Hindu festival which is the largest of its kind in the UK. 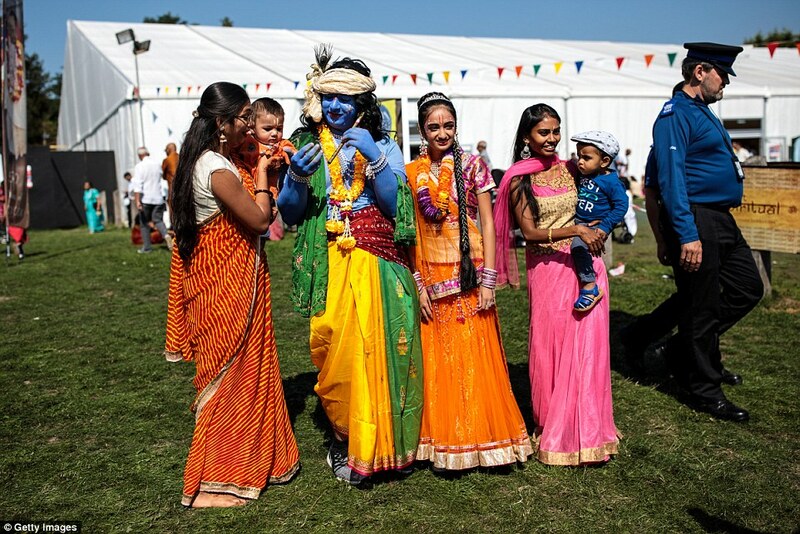 Thousands of brightly dressed families descended on Watford on Sunday for the huge Hindu festival, Janmashtami. 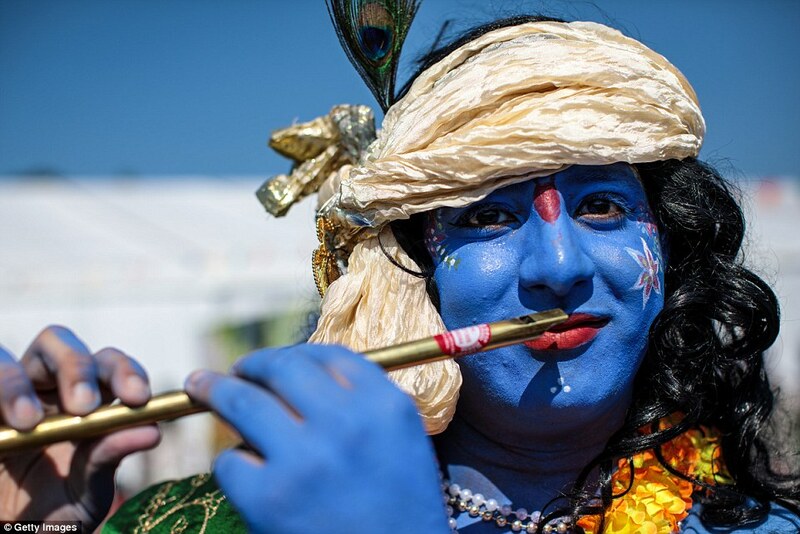 The annual celebration marks the birth of Krishna, the eighth avatar of Vishnu, and brings Hindus from around the world together. 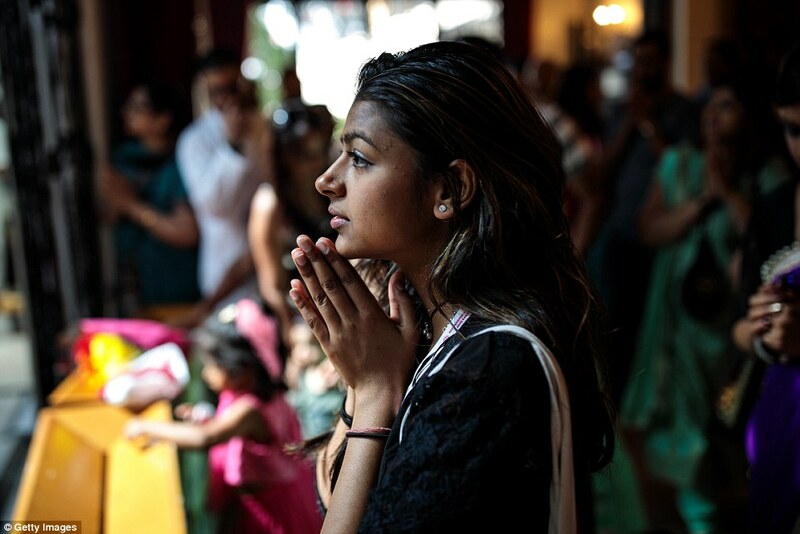 Music and prayer were central to the event held at Bhaktivedanta Manor Hare Krishna Temple in Patchetts Green on the outskirts of Bushey. 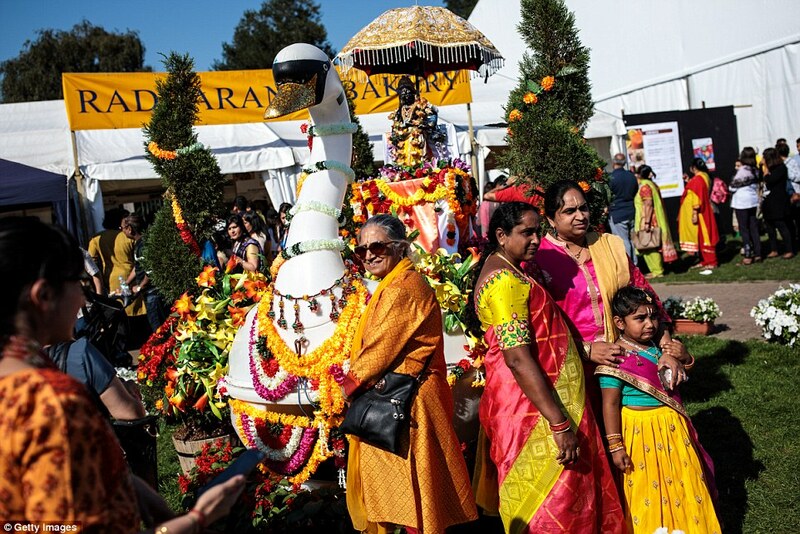 With tens of thousands attending every year, it is believed the be the one of the largest Hindu festival gatherings outside of India. 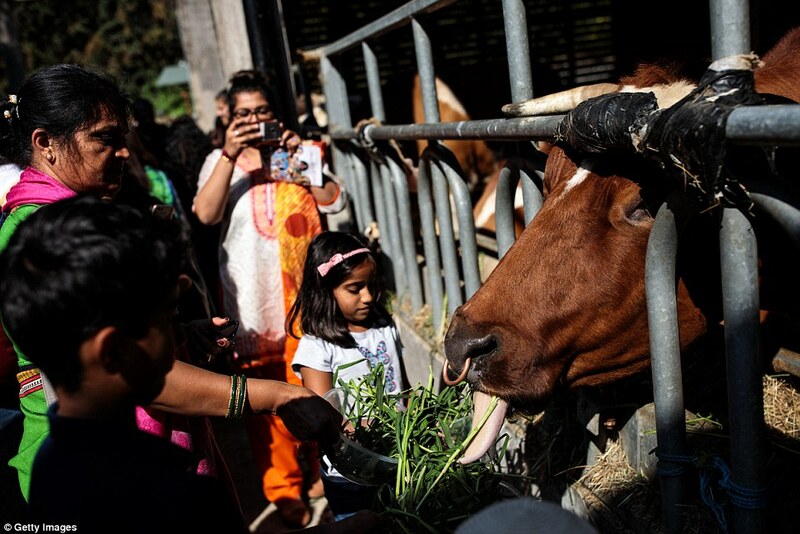 Late Beatle, George Harrison donated the estate which holds the event to The Hare Krishna Movement. 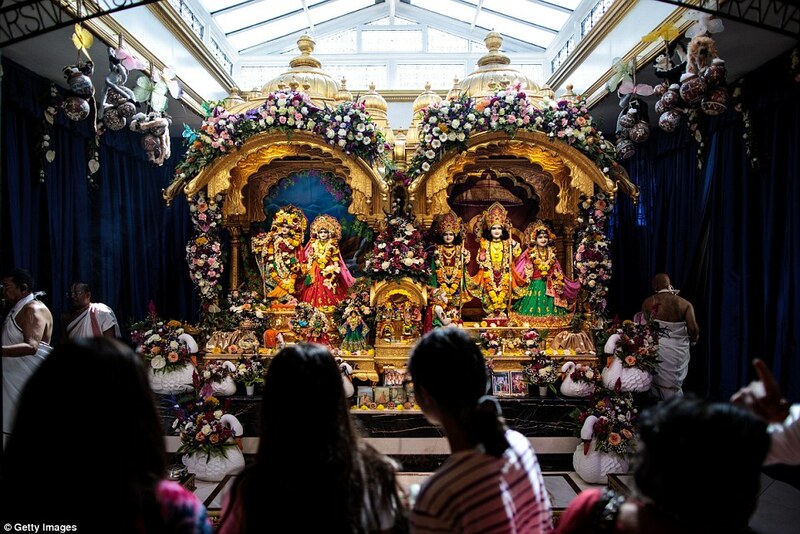 Srutidharma Das, Temple President of Bhaktivedanta Manor told the Watford Observer: 'The manor was gifted to us by George Harrison in 1973 and it carries on his legacy of sharing ancient wisdom and cultural richness of the east. 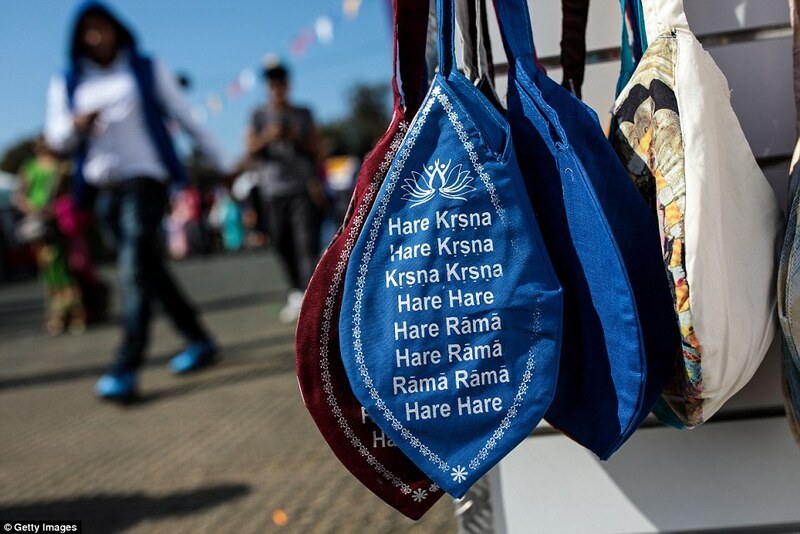 The festival message is simple and universal, through love we connect, we belong and we transcend.